To say Midbar Winery is unique – would be an understatement of the world. 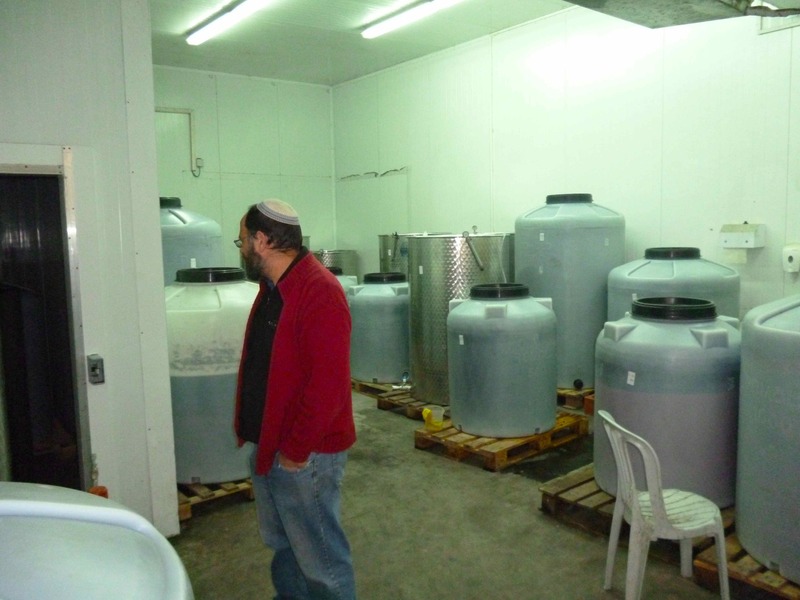 However, to say it might be the most unique kosher winery in Israel, may well NOT be an understatement at all. Midbar Winery is a newly minted winery from the recently closed Asif winery and a new influx of cash from investors. Yeah – yeah, I am getting to it – hold your horses. Asif Winery is a winery that was established in 2006 to do what no one in Israel could do well – create great kosher white wines. 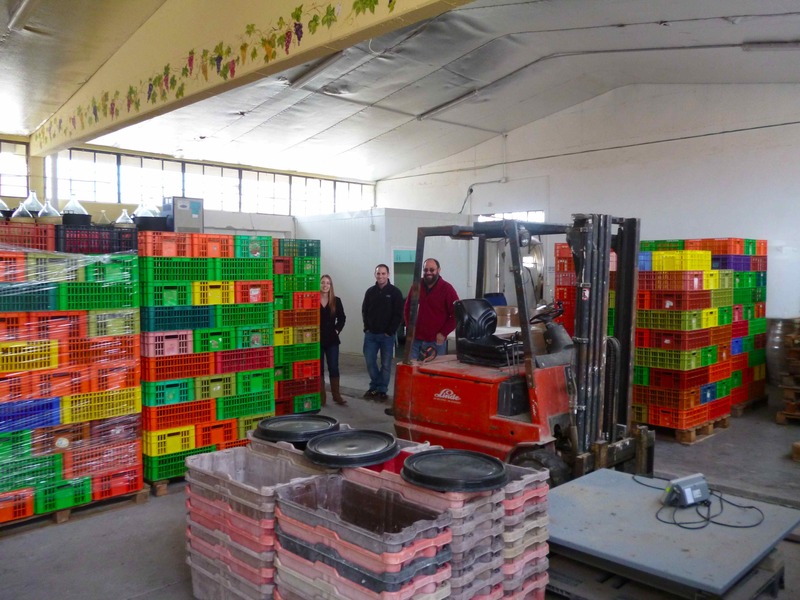 According to Yaacov and the winery’s website: Midbar Winery in Arad, was established to develop, promote and celebrate winemaking in the Negev desert. Midbar is the Hebrew word for desert – and our vineyards, typically over 800 meters above sea level, benefit from the Negev’s unique terroir. Another great quote from Yaacov – White is the New Red. Now, before I get ahead of myself too far, I must state that this winery is not kosher – as in the customary manner. The wine carries no supervision stamp, or hecsher, for a variety of reasons. However, having heard the story of Ya’acov Oryah, I had to visit the winery to find out more. 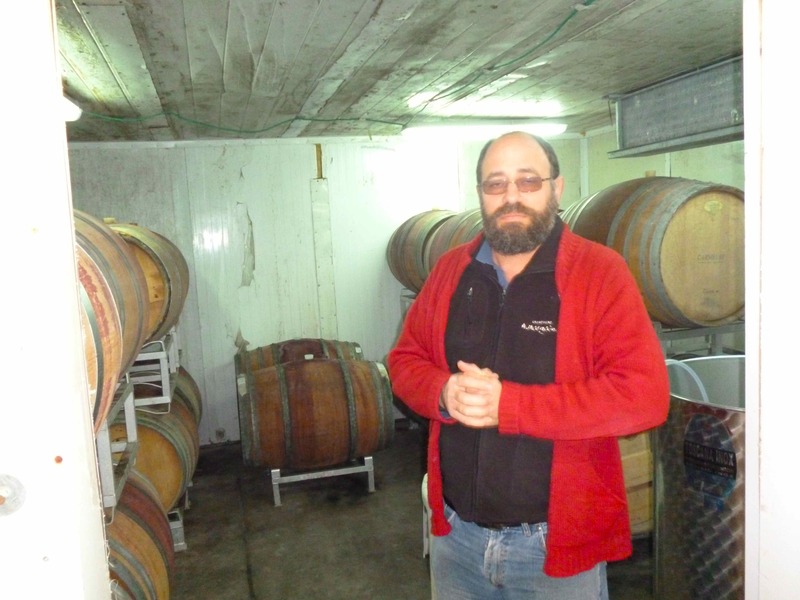 Yaacov Oryah started the winery in 2006 and though he lacked a kosher wine symbol many people like me happily drink his wine. Why? Simple enough – I trust the man, and being that Yaacov Oryah is a religious man – that is all that I need. However, my nonchalant attitude in this area may well concern others, and it is for this reason that I may keep the wines I schlepped back from Israel for myself – or with the folks that are trusting as I am. For a deeper understanding of why and how this came to be – I advise a wonderful trip to the south of Israel where a lovely, honest, hard working, humble, and successful winemaker will explain the situation to you and if you like what you hear – like I did, I highly recommend his wines. I can openly say that he is not against having supervision, but as your parents used to say to you when you were young – “it is complicated”! The good news is that falling in love with his wines is the farthest thing from complicated! In retrospect I think that Yaacov should hang two signs above his winery’s door. The first one stating; He who enters should be brave of heart, open of mind, desiring of all things ripe, honeyed, fruity, and floral in so many ways. The second one should read: He who wishes to enter these hallowed halls should be in love with wine of a white persuasion and not the Moscato kind or other overly sweet enchantments. If you lack the interest in grand and lovely white wines than please do not waste the time of the master who works beyond these gates. He is a man who makes white wine a priority rather than a nice-to-have item. Please leave him alone and bother him not so that he can make us all more great white elixirs! The Asif winery was created to make white wines because, as I said before white wines are in the future of Israeli wine drinkers. Given the temperatures in Israel, fresh, un-oaked, bright, ripe, and unhindered, white wines are getting more and more attention. Yaacov was a bit ahead of the game, and in some ways highly unconventional. Going without a kosher symbol, when it is kosher, is unconventional, but making a winery that sells white wines is truly unconventional, given Israel’s appetite for all things red in 2006. Still, the man forged forward and though he was successful with his wines, he was in need of a cash influx in 2010. In 2006, Yaacov created 20,000 bottles under the Asif label, in 2010 he was still created 20,000 bottles and though he had created wonderful wines, he did not have the cash to tide him over for the 2010 vintage. So, while looking for a white knight he found himself a new boss! In the end, the buyer was highly excited by what Yaacov could do for him wine wise, but he wanted a new name and a fresh slate, so in 2010 Yaacov closed the Asif Winery and transferred the Asif wines to newly minted and just opened Midbar Winery! For most of us, the difference is purely cosmetic, however, one thing that did change in 2012, beyond the cash influx and solvency, was the creation of a few more red wines! 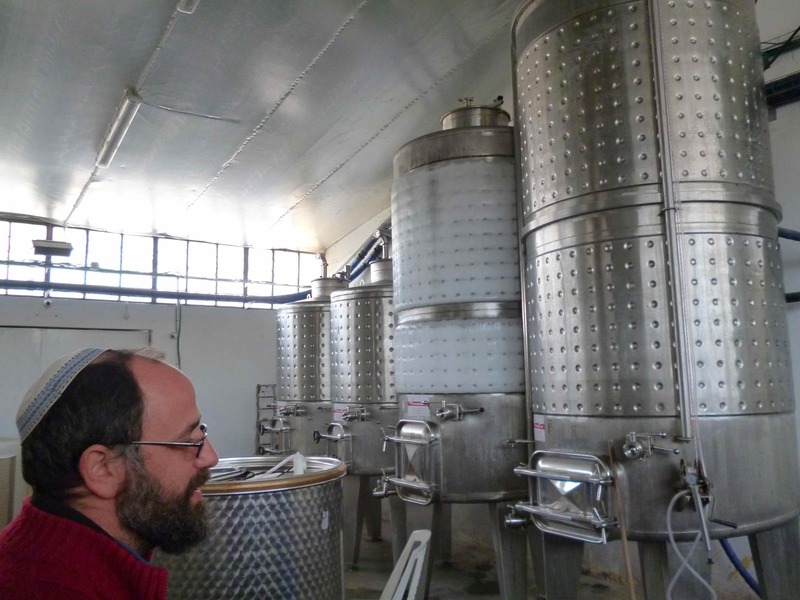 Sure, the Asif winery did make a couple of red wines here and there, but in 2012 the red wines made up 30% of Midbar winery’s 30,000 bottle vintage. Still, the vast majority and focus of Yaacov’s time is on the beloved white wines, and meeting folk like us! 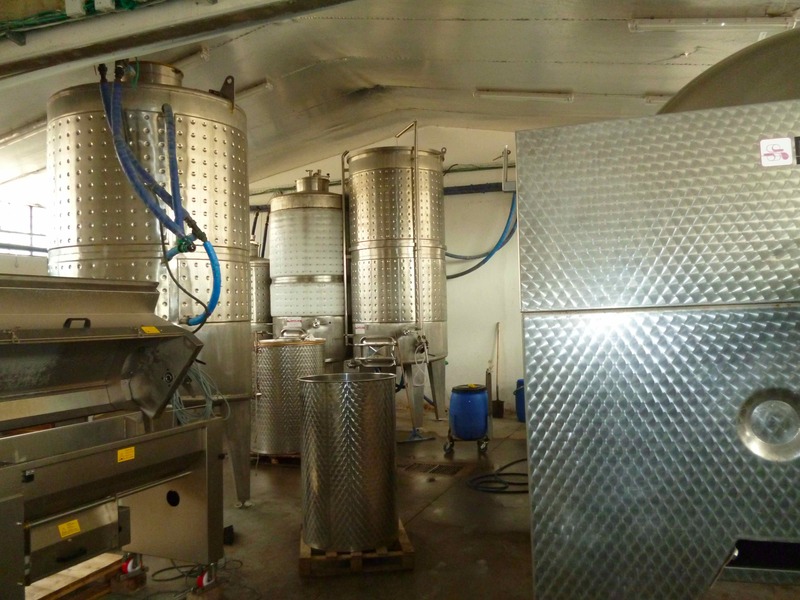 The winery makes 8 white wines and used to make two red wines, mostly as an after thought. I loved how Ya’acov put it; whites wines are far harder to make than red wines as you have less latitude to cover or fix your mistakes or flaws the wine has. In many ways this is so true, and is one of the reasons why oak is used so liberally in white wines around Israel. In 2012, the Midbar Winery made 5 red wines, a GSM (Grenache, Mourvedre, and Syrah) called Red 33, a Bordeaux blend with five grapes – hence the name Red 55, a winemakers blend with four grapes – yep Red 44, along with a varietal Cabernet Sauvignon, and a varietal Shiraz. The winery has 80 duman of grapes that are grown in Mitzpe Ramon, a vineyard in a unique eco climate of the south. The white grape varieties that grow in the vineyard are; Semillon, Chenin Blanc, Gewurztraminer, Sauvignon Blanc, Chardonnay, and Viognier. The red grapes are acquired from many locations, in the past they were sourced from as far as the Galilee and as close as the Judean Hills. However, fro the 2010 vintage and beyond many of the red wines were sourced from around the Negev and some from other sources north. The Mitzpe Ramon vineyard is a clear Negev vineyard and is not like the Yatir Winery vineyards that are more Judean Hills (southern tip) than Negev wines. However, Mitzpe Ramon is a Negev wine region that has an extremely unique micro-climate because of its proximity to the Ramon Crater, known as a makhtesh. According to Wikipedia, the crater is 38 kilometers long, 6 km wide and 450 meters deep! So though Mitzpe Ramon can be as hot and cold as the desert that it occupies, it is tempered by strong winds all year long, caused by its location above the crater. This causes which Mitzpe Ramon to feel much colder than it really is. While researching more about this winery and Mitzpe Ramon, Wikipedia tells an interesting side story! It turns out that Mitzpe Ramon, was actually a city created out of need. When building the old road down to the resort city of Eilat (Israel’s southern most city), the laborers needed a more southern place to stay and to resupply from. So like all things that are good, it was created out of a need and continues to exist till this day. The sad thing about Mitzpe Ramon is that it could equally have been the focal point of the Pixar masterpiece Cars. The movie depicts the sad physical and emotional deterioration of a fictional city called Radiator Springs that was jewel on Route 66. But once cross America laid down its cross-Continental highway system, thereby bypassing Radiator Springs, the city became another casualty of man, on its insatiable ascent towards convenience and technological advancements, while all the while leading it into cultural insignificance. Well, in this case it is more a story of man copying madness, Route 66 fell into disarray slowly throughout the 1950s, while the same sad story befell Mitzpe Ramon with the opening of Route 90 in Israel, in the 60s. The good news is that ecotourism has revived the area and its micro-climate continues to bring more agricultural investments as well. Anyway, after we arrived we were met by Yaacov and two guests who, like us, were there to see Yaacov and taste his creations. After showing us around the winery and explaining his methodology with wine, being his appetite for creating white wines, not modifying them at all, and the minimal use of oak. He is constantly tinkering and learning – like a scientist in a laboratory, and it was here again that we heard the same refrain (#8) – it takes many years to see the impact of a change in the vineyard and though less in the winery, it is still a long turnaround between changes and their understood impact – everywhere in a winery. We were then given the chance to taste through the white wines that are currently for sale at the winery (and at Gabe’s store as well). Unfortunately, the 2010 Chenin Blanc was sold out. We already exclaimed the joy of Chenin Blanc when we had the Domaine Netofa at Pierre’s house. That was more tart and herbal, while having tasted the rest of these wines – my guess is that the Midbar Chenin Blanc would have been sweeter and riper. Maybe next time I will get a chance. The first wine we tasted was the 2010 Midbar Semillon/Sauvignon Blanc wine, it is a blend of 30% Sauvignon Blanc and 70% Semillon, co-fermented. The nose starts off with green grass, lemon curd, peach, light honey, gooseberry, white violet, and floral notes. The mouth is medium in body with nice acidity, kiwi, nectarine, and more tropical fruit. The finish is long and smooth with a hint of butter, along with a rounded mouth and a nice hint of toast. The wine is unique to say the least. According to Yaacov these are wines that are picked early, like in the Hunter Valley of Australia, and it is a wine that need tons of time to fill out and become the creamy and rich monsters that will captivate your imagination. Until then, I will have to go by what I tasted and it is lovely now, but it will not be released until Yaacov feels it will be more fully appreciated for where it is, maybe 2014 or 2015. The nose on this wine is filled with spice, cloves, honeysuckle, violet, and floral notes (a common theme through the wines of Midbar) along with hints of cheese (that blow off over time) and gunpowder. The body is medium in weight with great acidity, nice peach, rich lime curd, lemon, and a crazy citrus garden. The finish is long and clean lined with great mineral, flint, green notes, and tart fruit that linger long. The next wine blew me away, because I rarely like unoaked chardonnay – but this one was different. The nose and mouth are redolent with violet, orange, lemon, rich yeast and honeysuckle (see I told you). The mouth is viscous, ripe, round with kiwi, quince, red and green apple, lively mineral, and green notes. The finish is long and spicy with cloves, spice, honeysuckle, while living long on palate with tart lemony acid, and nice peach and apricot. The next wine was the 2010 Midbar White 44, a blend of Gewurztraminer 25%, Sauvignon Blanc 20%, Chardonnay 20%, Viognier 20%, Semillon 15%. Yeah, five grapes yet called the 44, who cares – the wine concentrate on the wine!!! This one blew me away, the aromas literally are in a cage match to the death, fighting each other tooth and nail until one becomes victorious. I did not stand around long enough to find out whom the winner would be, but in the end with a wine like this – we who enjoy it are the lucky winners indeed! Yaacov explained that Gewurztraminer is one of his hardest grapes to control, it has soapy or unwanted flavors and he does things with it to minimize the bad and accentuate the good. He does cold whole bunch press, and he blends it with all of these grapes to get the most out of all of them. The nose is redolent with super ripe summer fruit, crazy ripe orange, grapefruit, violet, rose, honeysuckle, and litchi. The mouth is rich, round, honeyed, and insane, with layers of complexity and flavors, starting with ripe nectarine, guava, green and yellow apple, all coming at you in waves. The oily texture and the summer fruit combine for a mouth captivating wine. The finish is long and spicy with nuts, almonds, marzipan, tart fruit, and earthy mineral notes – WOW and get some!! The final wine was the first kosher Orange wine I had ever tasted, the 2010 Midbar Orange 44. It is a blend of three grapes (yeah – get over it) 52% Chenin Blanc, 24% Chardonnay, and 24%, Viognier. This was unique and different to me, but to many it is becoming a lightening rod – why? I am not sure, but many are finding orange wines to be too much of a fad in the non-kosher world. For me, there is only one of them – so one a fad does not make. The wine is different – it is not a white wine and while it is not a red wine the long skin maceration, 14 days in this case, causes the wine to take on an orange hue. The idea here is that the grape skins gives the wine tannin and it gives the wine more body. The nose starts off with almond paste, oaked honeysuckle, ripe floral notes, and passion fruit. The mouth is ripe and medium in weight with nice mouth coating tannin, cherry, orange fruit, lemon, apple sauce, creme bruelle, lovely sweet cedar, all melding together with brioche, yeast, and a creamy and balanced mouth feel. The finish is long and spicy with cloves, allspice, butterscotch, kiwi, apple, marzipan, tart fruit, and cinnamon, along with biter notes and tangerine. A unique wine and one that may not be for everybody – but it sure works for me! My many thanks to Yaacov and to the Midbar winery for taking his time to share his knowledge with us and sharing his hard work with us as well. Posted on January 22, 2013, in Israel, Israeli Wine, Kosher White Wine, Kosher Wine, Wine, Wine Tasting, Winery Visit and tagged Asif winery, Chardonnay, Chenin Blanc, Gewurztraminer, Midbar Winery, Sauvignon Blanc, Semillon, UnOaked Chardonnay, Viognier. Bookmark the permalink. 11 Comments.